Also for thermal utility like Kiln, Overns,Furnaceetc. To know more about our services/clientele/company profile you can contact us. With pan India team Elion is leading firm carrying out Thermography Services. We carry out thermography using best camera by trained Thermographer. We carry out thermography of all ,Al electrical equipment like motors,cable,wires,transformer etc. We also carry out thermography for all mechanical part including moving part like bearing, rotor, pump machines etc. Also for thermal utility like Kiln,Overns,Furnance etc. To know more about our services/ clientele/ company profile you can contact us. Pan India Presence Elion is leading firm carrying out Mechanical Thermography Services. We carry out thermography using best camera by trained Thermographer. 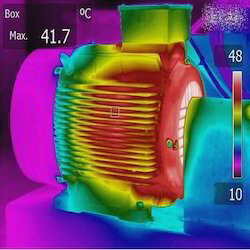 We carry out thermography of all, All mechanical part including moving part like bearing,rotor,pump.machines etc. 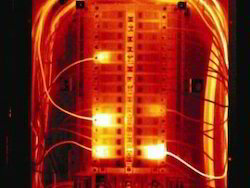 We also carry out thermography for electrical equipment like motors, cable, wires, transformer etc. Also for thermal utility like Kiln, Overns, Furnance etc. To know more about our services/ clientele/ company profile you can contact us. We have served various types of industries and buildings.Working with Govt Of India and Private Sector.To know more about us please get in touch. 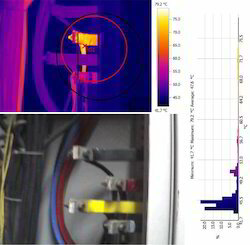 We are offering our clients excellent quality Infrared Thermography Testing. Our skilled professionals offer this service for Electrical/Mechanical and Thermal Equipment like fuse boards, distribution boards, bus bar systems, control panels, high voltage and medium voltage systems and power line connections and insulators. Furthermore, this service can be customized as per the demands of our clients in various specifications. We are offering this service at nominal prices to our patrons. We are carrying out the study for various industries,buildings,power plant,oil & gas etc across Private and Government Sector. We are offering our clients excellent quality Thermography Services. Our skilled professionals offer this service for Electrical/Mechnichal and Thermail Equipment like fuse boards, distribution boards, bus bar systems, control panels, high voltage and medium voltage systems and power line connections and insulators. Furthermore, this service can be customized as per the demands of our clients in various specifications. We are offering this service at nominal prices to our patrons.We are carrying out the study for various industries,buildings,power plant,oil & gas etc across Private and Goverment Sector. We are offering our clients excellent quality Infrared Thermography Services. Our skilled professionals offer this service for Electrical/Mechnichal and Thermal Equipment like fuse boards, distribution boards, bus bar systems, control panels, high voltage and medium voltage systems and power line connections and insulators. Furthermore, this service can be customized as per the demands of our clients in various specifications. We are offering this service at nominal prices to our patrons.We are carrying out the study for various industries,buildings,power plant,oil & gas etc across Private and Goverment Sector.